DO YOU SUFFER FROM LACK OF CONCENTRATION, BRAIN FOG AND TIREDNESS? 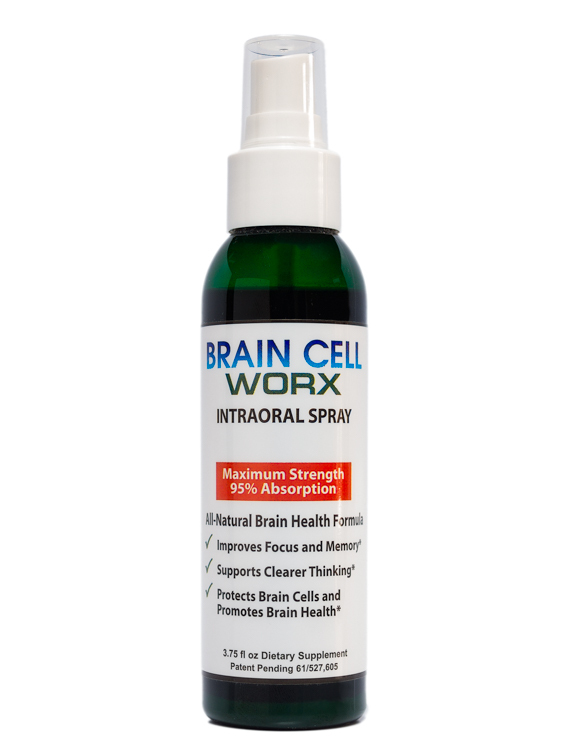 The Brain Cell Worx supplement is guaranteed to improve your memory, improve focus and concentration levels, activate your brain cells and improve overall brain health. 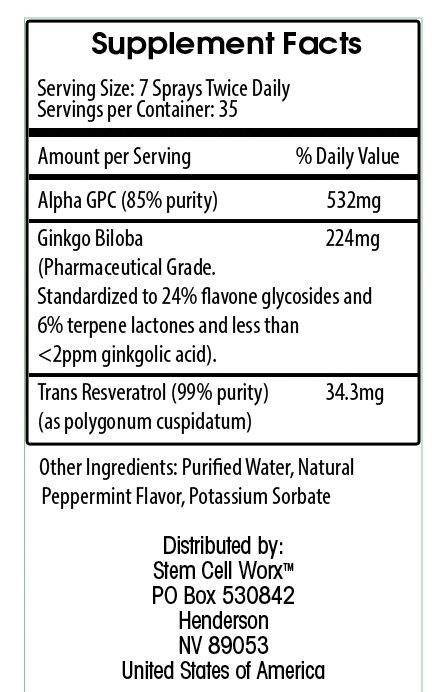 Designed by Bio-Chemists, Brain Cell Worx is the world's only laboratory tested, clinically proven, natural nootropic in an intraoral spray (providing 95% absorption) of its pure, natural ingredients - Alpha GPC (85% purity); Ginkgo Biloba (highest pharmaceutical grade available) and Trans Resveratrol (99% purity). Manufactured in the U.S.A. by a GMP Approved Laboratory that specializes in liquid nootropic supplements. Comes with a money back guarantee.